Like a lot of dutiful Canadians, you’re probably looking for a place to make a charitable contribution at this time of the year. There’s certainly no shortage of programs to consider, but unless you have a cause that hits especially close to home you may be torn about where your donation will be put to best use. We can’t answer that for you, as there are many amazing causes out there. However, we can tell you that there is one arena to consider, one that with your support can see rewards that reverberate for generations – school programs with a focus on outdoor learning at the elementary to middle grade level. Allow us to expand. 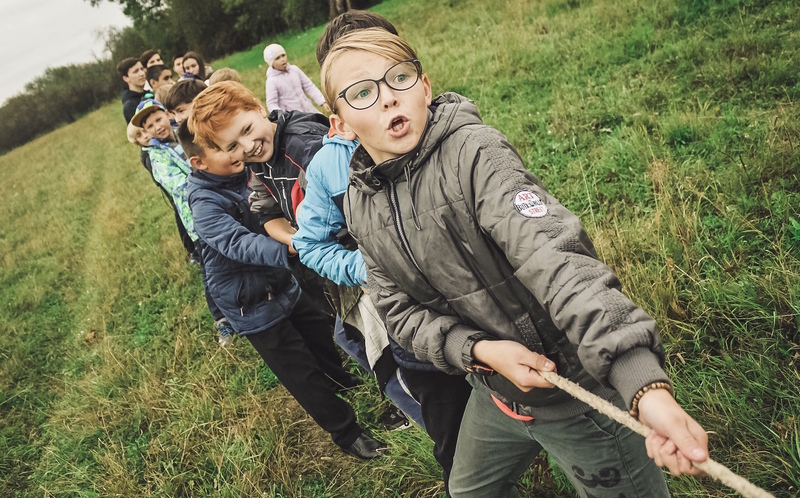 For an expanded look at the benefits of outdoor learning, and how your contribution will go farther than you ever imagined, view more here. When you help children better connect to their environment, you support the future. All of the wonderful clichés are true in this capacity. Your donation plants a seed that molds better human beings, ones that are connected to humankind and nature around them. They will collectively make a better world than one that has been left to them as they learn how to work with the planet instead of stripping it of the resources it affords. By helping build a future with a focus on sustainable practices, you pave the way for the generation today to pass on their knowledge and skills to the generations that come after them. What sorts of school programs with a focus on outdoor learning are available for your consideration? One movement that garners a lot of results and positive attention across Canada is the school garden concept. Essentially, this is a community garden or urban farm that you typically see near you, but on school grounds. Programs get students involved from inception. Together with teachers and volunteers from the horticultural community, children help plan crops, prepare plots, plant seeds, and maintain the garden environment through to the harvest. From there they the learn how the yield enters the local socioeconomic system to feed individuals and families, be it through farmers markets or food banks, or both. At the same time they learn about seed preservation and how to prepare the garden for the next season so that a sustainable model is fostered. This permits the grades to come to enter the cycle and carrying on their good word, year after year. As you can see, your donation goes to more than getting kids outdoors to learn. It can help feed those in need and take a big bite out of the food insecurity epidemic that is weighing heavy on households and the Canadian health system alike. 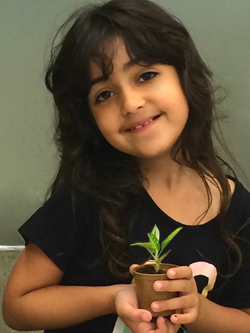 Specific to the Plant a Seed & See What Grows Foundation, 90% of your donations go directly to programs and services. This is made possible thanks to the generosity of our donors – Natural Factors & Whole Earth & Sea. Who knew your dollar could go so far? A lot of the time, charitable contributions are made, but the benefactors rarely get to see exactly where their donation goes. For some, this is OK as they trust that in making their donation to a registered charity that it’s in good hands. However, many people prefer to follow the path of their pledge so that they can see it being put to good work. It’s a rewarding feeling that people connect well with and often results in a perpetuating cycle of good will year after year. When you contribute to outdoor learning programs for children, there’s a good chance that you’ll get to see your support bear tangible results. For example, those of you who get involved with our Foundation’s efforts to promote outdoor learning in Canadian schools need to look no further than our Funded Programs. This is where you will witness inspiring school garden projects, including this one at École Peter Greer Elementary in Lake Country, BC. Another example is the Port Weller Public School garden in St. Catharines, Ontario in addition to the Westmont Montessori sheltered school garden on Vancouver Island. Thanks to benefactors such as you, this list will continue to grow until there is nary a school without a plot to grow food and promote outdoor education. Of course, there’s more involved, which leads us to the next point. Accomplishing all the above requires more than financial donations from the community. It requires a lot of ground work, administration, communication, planning, and coordination at municipal, provincial, and even federal levels. In many cases the cutting of red tape is involved. This is why few individuals and even community groups can fail in their attempts to get such programs going on their own. Thankfully, there are registered foundations that have the infrastructure in place complete with a scalable model to ensure the success of school programs like those referenced above. Click here for insight into why you should work with a foundation when seeking a place to donate to a great cause. Learn more about how you can get involved with the Plant a Seed & See What Grows Foundation, and please do feel free to contact us if you have any questions whatsoever.